Narrow Gauge Railway Museum01654 710472work Museum - TransportLocated at the Tywyn Wharf terminus of the Talyllyn Railway, the Narrow Gauge Railway Museum is an important collection of artifacts relating to Narrow Gauge Railways in the British Isles, throughout a period spanning some 200 years. The collection ranges from complete locomotives to smaller pieces such as paperwork, signaling equipment and tickets. As such, it is a unique and comprehensive record of these fascinating railways, nearly 80 of which are represented in the collection. 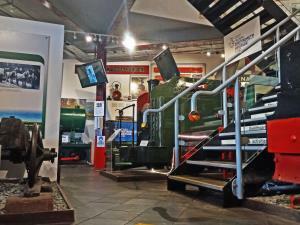 The Museum displays contain a special section devoted to the Reverend W. V. Awdry, creator of "Thomas the Tank Engine". Awdry was an early volunteer on the Talyllyn Railway, and its history and his experiences were the inspiration for his "Skarloey Railway" on which operated scarcely disguised counterparts of Talyllyn locomotives. The collection includes a reconstruction of part of the Reverend Awdry's study from his last home in Stroud, Gloucestershire. See The Awdry Connection and the Museum web site and for further information on the Awdry and Thomas connection. 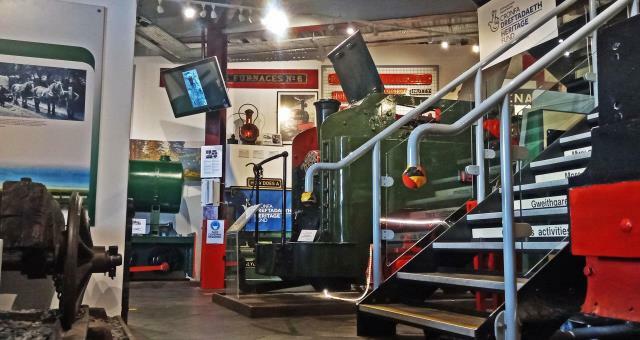 Located at the Tywyn Wharf terminus of the Talyllyn Railway, the Narrow Gauge Railway Museum is an important collection of artifacts relating to Narrow Gauge Railways in the British Isles, throughout a period spanning some 200 years.